The Resident Tourist: Good News and A Show . 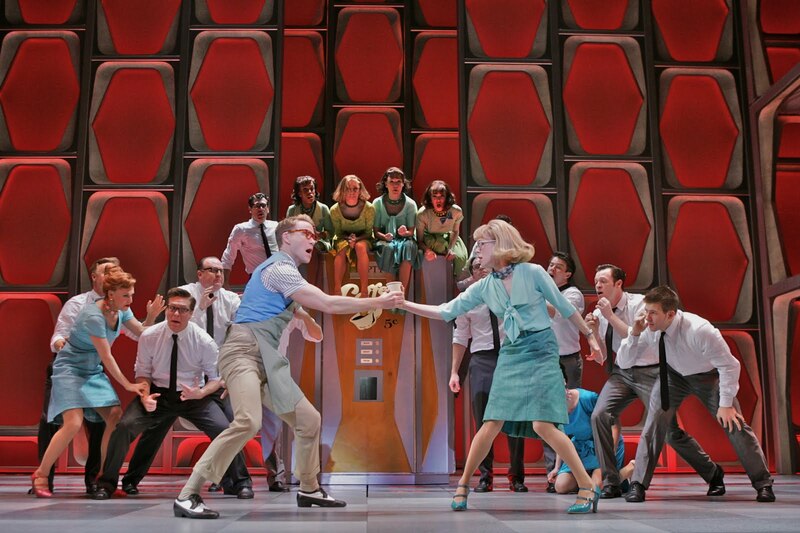 . .
A few days ago I got matinee tickets for How to Succeed in Business Without Really Trying. Within minutes of sitting down in the theatre I started to feel chest pain. Eek. Scary. I called my doctor immediately. He asked that I go into his office asap for a stress test. Somehow my mom was able to switch our tickets for the evening show, so we went back to my apartment, grabbed a pair of running shoes, and hopped into a cab headed East. I'm happy to report that the test went extremely well. My stamina was good throughout the run and my ECG had no abnormalities. Huge sigh of relief. The chest pain was most likely coming from a pulled muscle from a gym class I took the day before. My cardiologist made a great comment: "This is good news. Not only for the obvious reasons, but because it means that you're also a normal person, with normal aches and pains that aren't worrisome." In other words, my words, I'm not just a medical freak with an undiagnosable heart disease. Another sigh of relief. After leaving the doctor's office we went out for celebratory drinks and early dinner at the Monkey Bar. 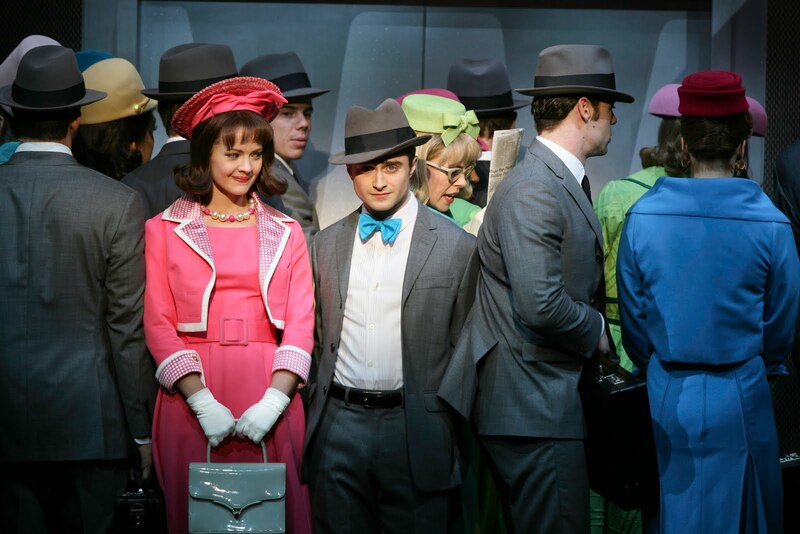 By the time we got to the theatre, we were so happy we would have probably liked any form of song and dance, but I must say that I loved How to Succeed in Business Without Really Trying. It was like watching a musical, comedic episode of Mad Men. 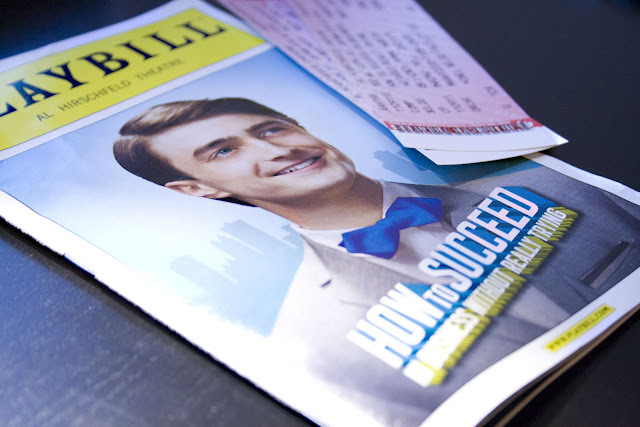 The entire company was fantastic, and Daniel Radcliffe was absolutely adorable. I'm one of the few that has never been a Harry Potter enthusiast, but after this show I am a complete Dan Rad fan. Although I was shocked to see how small he is. His giant of a costar, John Larroquette, probably didn't do much to help his cause, but still, the guy is miniature. He's so cute and talented though, it doesn't matter. 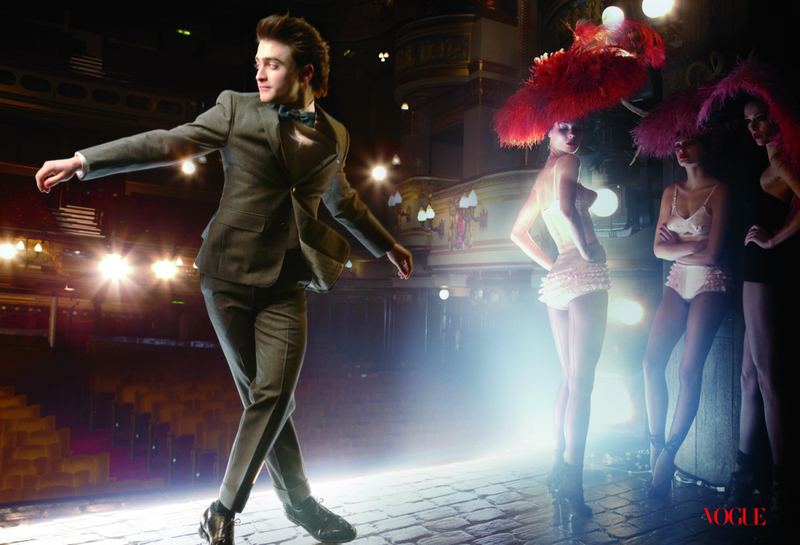 Go see it, you'll fall in love.